Every day we see aspects of our job that can be done better. Improvements can be made to the way we do many things and the materials we use. We’re often so busy, we think to ourselves there must be a better way to do our charting, administer meds, etc, but we’re too busy to actually do anything about it so we go with the same old routine. Here's a story about a Nurse seeing a need for improvement, having a creative idea, and seeing her idea become a much needed device to improve healthcare for babies. This article written by By Andy Rosen from the Boston Globe- Maggie McLaughlin’s path from nurse to entrepreneur started last year when an IV tube became unhooked from an infant in the neonatal intensive care unit at Tufts Medical Center, where she works, causing the child to begin bleeding unexpectedly. A specialist in IV procedures, McLaughlin was asked to study ways of preventing such an incident from happening again, and she learned there is no universally accepted tool to safely lock the line onto an infant’s tiny body. Since then McLaughlin has been working to develop an IV connection that lies flatter on an infant’s skin and holds more securely to the needle than the alternatives on the market today. She has teamed up with a former nurse she met at a Northeastern University event to form a company called IV Safe T to make and market the device. McLaughlin is among a number of nurses — with the help of programs from nursing schools and their own hospitals — who are using their bedside experience to develop new products and innovations in the medical industry. Rebecca Love, director of the year-old Nurse Innovation and Entrepreneurship program at NU, said research has shown that nurses spend a significant portion of each shift using workarounds and making impromptu fixes to ineffective processes or equipment. One simple example is using medical tape to secure a device that doesn’t sit right on a patient’s body. Such adaptations take up time that could otherwise be devoted to patient care, but they also demonstrate creativity that can be channeled into developing new tools and procedures to improve the delivery of medicine. The NU program, which connects nurses to resources and guidance to help them carry out their ideas, said it has attracted 1,600 people to events it has held, and it has connected at least 20 nurses to business mentors. It is also beginning a certificate program this winter. Meanwhile, Massachusetts General Hospital provides grants to nurses and other patient care workers who have ideas to improve the way the facility operates. One nurse at MGH, Jared Jordan, is using the grant program to develop a harness that will allow patients to use the bathroom on their own without risk of falling. He came up with the idea after a patient took a bad spill at the hospital, slowing his recovery. Patients understandably want privacy while they use the toilet, even when they are so weak they are at risk of falling. The goal of the product is to provide enough stability that nurses can stand watch from outside the bathroom. Jordan said he is still working out what his business relationship with MGH will be if the product comes to fruition. His main goal is not so much to make money, but to help solve the big problem of falls in hospitals, nursing homes, and other institutional settings. These programs strive to put nurses on equal footing with other professions, including doctors, who are commonly seen as the most likely innovators in medicine. 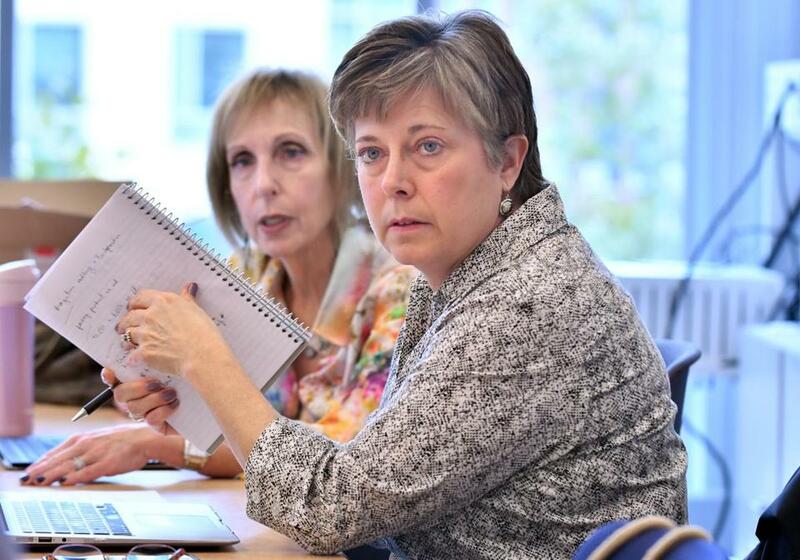 “Nursing historically has not been at the top of the hierarchy,” said Tim Raderstorf, chief innovation officer at The Ohio State University College of Nursing, which has a studio where students, faculty, and staff can test out ideas. “Although we are the largest profession in health care, we tend to have the least influence when it comes to making decisions.” That can be a major factor in determining whether nurses stay in their jobs. Research by the Robert Wood Johnson Foundation has found that nurses who have autonomy and feel involved in decision-making say they are more likely to stay in their jobs. Some who follow innovation in health care say nurses represent a relatively untapped reservoir of expertise about improving patient care. McLaughlin calls her device “Lang lock,” after her maiden name. 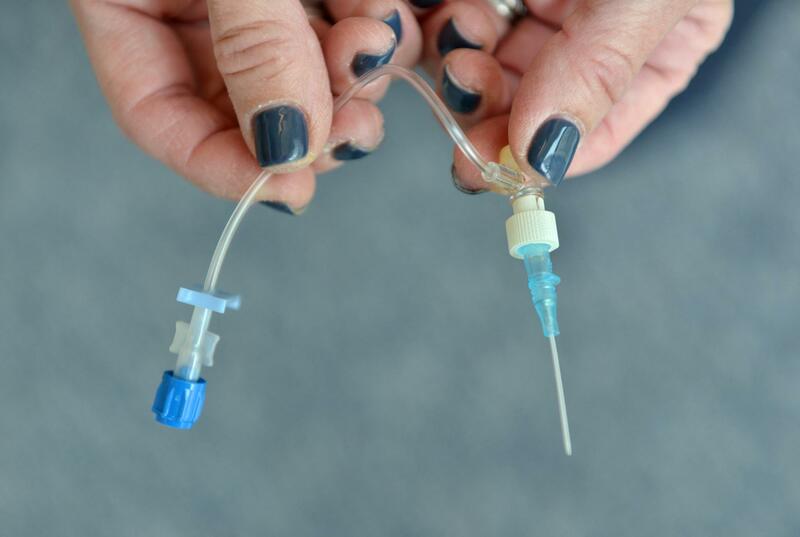 The rounded device connects tubing to an IV catheter with a single twist, and it has one flat side to make the needle approach the skin at a lower angle so it sits more securely. She has teamed up with Melinda J. Watman, a former nurse who later got an MBA and went into business, to start their own company. She works on the business in her spare time from the kitchen table at her Chelmsford home, and still clocks three, 10-hour shifts a week at the Tufts Floating Hospital for Children in Boston. So far, McLaughlin and Watman have spent about $5,000 of their own money to make a prototype. NU has been helping them to protect their intellectual property and study the market. The pair are exploring how to pay for the more daunting costs of getting regulatory approval, which could exceed $10,000. That might happen through a licensing agreement, or finding someone to bring the product to market by selling any patents they receive. They believe the product could also benefit adults, because they’ve designed to be easier to connect and to reduce the risk of irritation and skin tearing even on larger bodies.